The instant way to fight the fade and add hot shades, these super-nourishing Butters deposit bold pops of color on prelightened hair; reducing breakage and refreshing vibrancy for up to 10 shampoos. How often should Color Butter be used? Whenever hair is thirsty and color is faded! Is Color Butter a conditioning treatment or a hair color? a refreshing level of haircolor added for extra punch. Note that Color Butter is free from peroxide, ammonia, MEA and PPD. Results last up to10 shampoos depending on the condition, texture, and porosity of the hair. 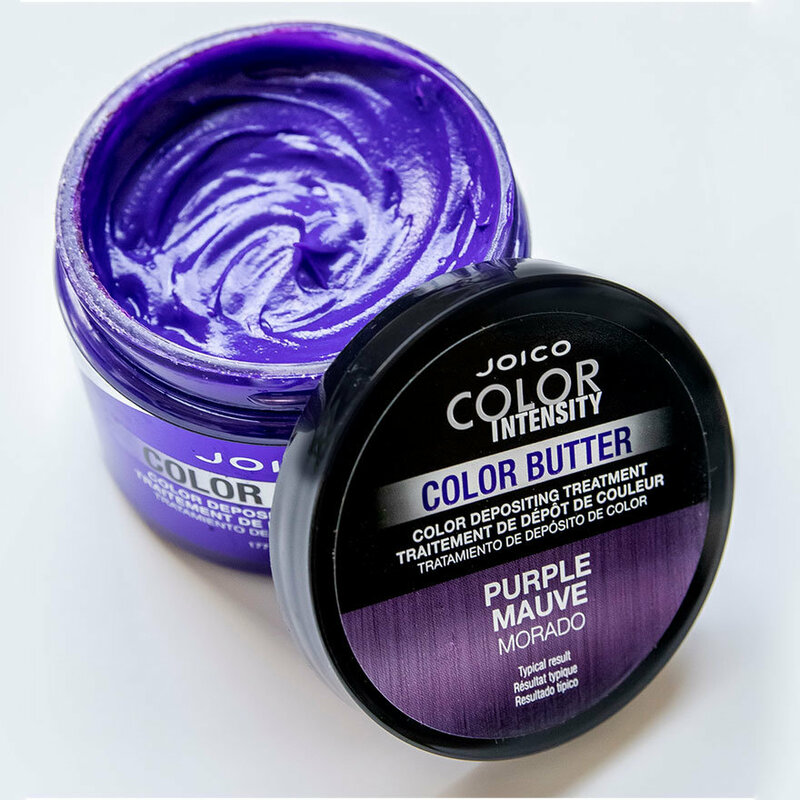 What’s the difference between using Color Butter on damp or dry hair? Applying to damp hair will give you a lighter color deposit, while dry hair application results in a more intense shade. My color result is different than the color of the jar. Why? Color results will be softer and somewhat muted. See the color swatch on the top of the jar for a more accurate representation of the color result on hair. Color results will vary based on hair’s porosity and existing color. Do I have to prelighten my hair or have naturally blonde hair to see results? Yes. 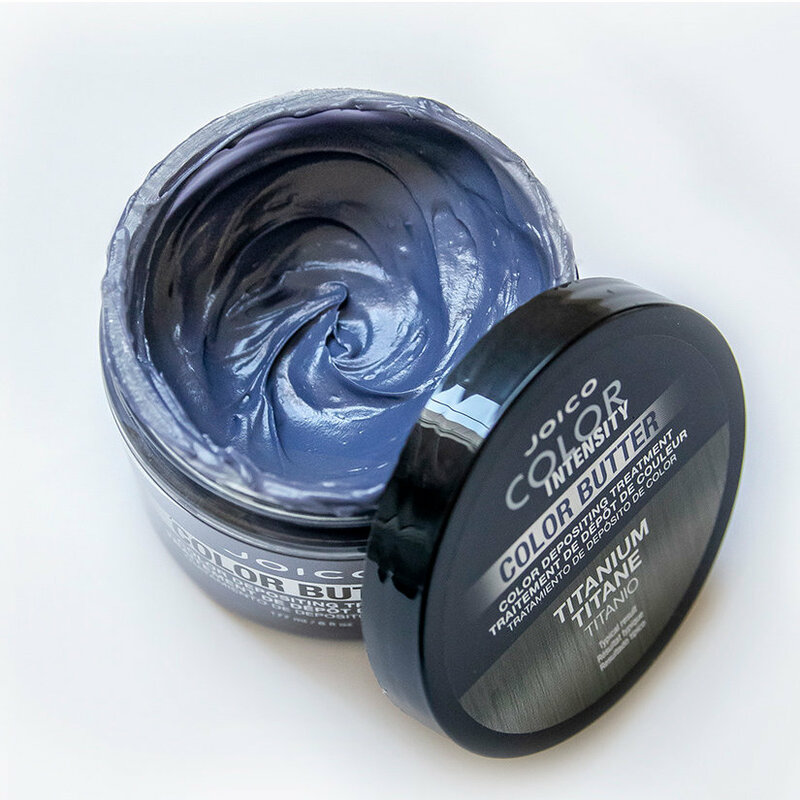 Color Butter is formulated for use on dark-to-light blonde hair, and is used to refresh previously colored hair. 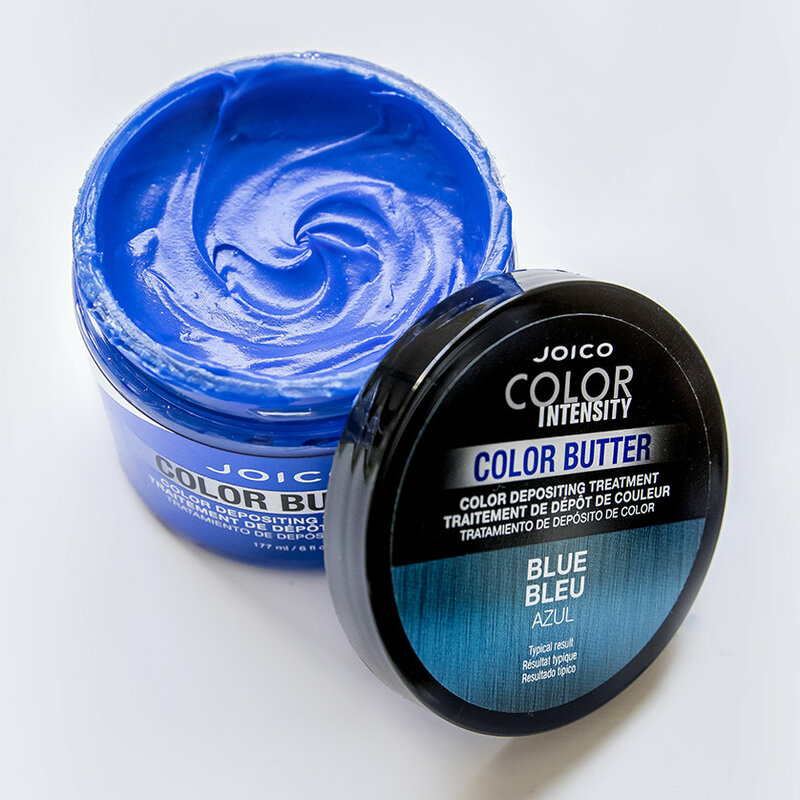 Can I use Color Butter to refresh a competitive semi- permanent hair color? Yes. 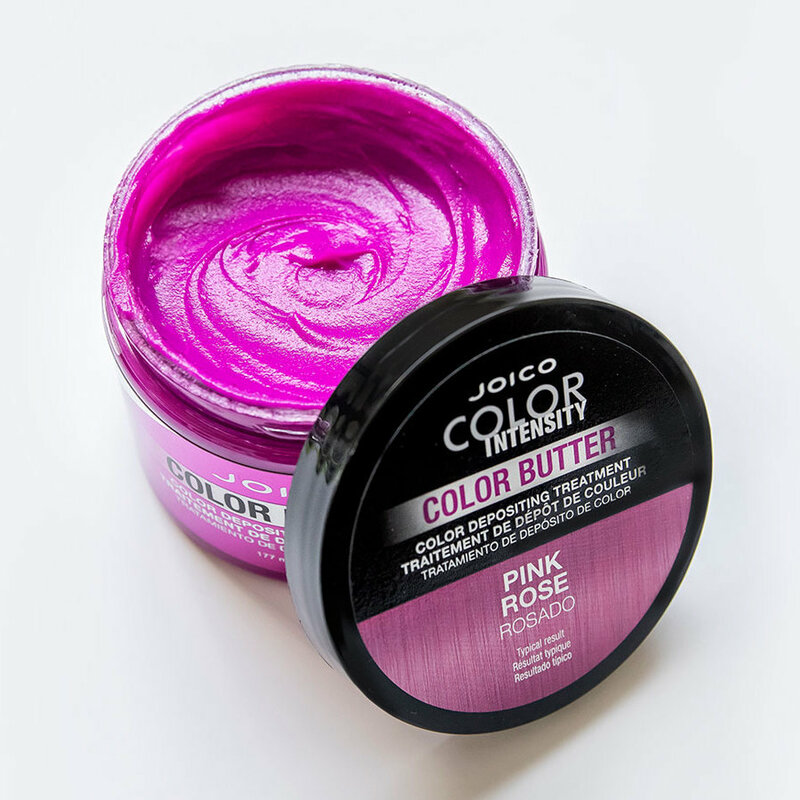 Color Butter can be used to refresh ANY vibrant or pastel semi-permanent color. My red always seems to fade. Will Color Butter do the trick? 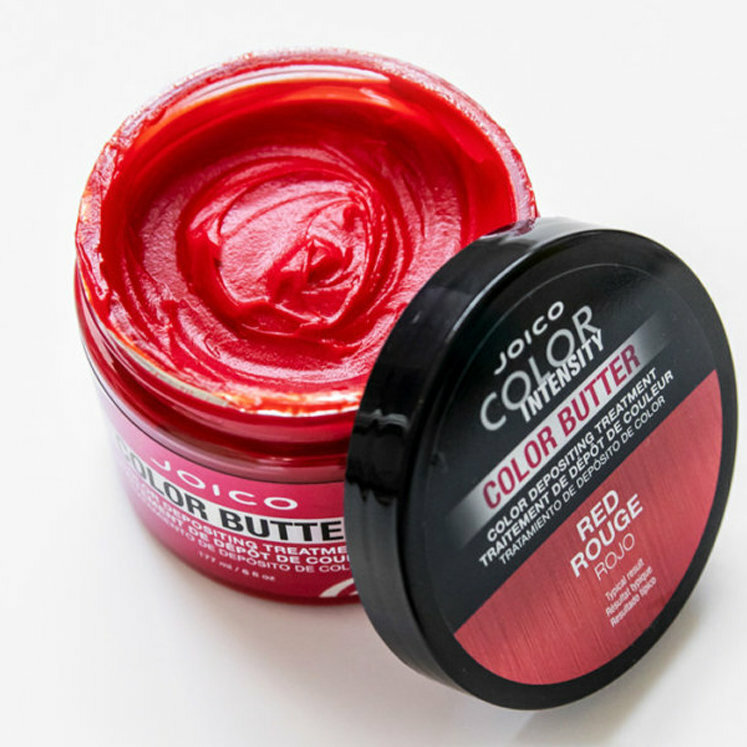 Color Butter Red is actually great to use as a color refresher, top coat or treatment for dry, damaged redheads who tend to fade quickly. Can I use Color Butter on extensions, wefts, or wigs? Can I mix the Color Butter shades to create a custom shade? For sure. All Color Butter shades can be intermixed for endless, vibrant possibilities. How do I remove Color Butter from my hair? Color Butter is formulated to fade from hair within 5-10 shampoos. If you would like to speed things up, we recommend using our Color Intensity Color Eraser mixed with water (strand test is always recommended). If I want to make a shade softer or more pastel, can I mix conditioner or a treatment mask in with my Color Butter? We would not recommend mixing with another moisturizing treatment, as this can make the product too heavy. 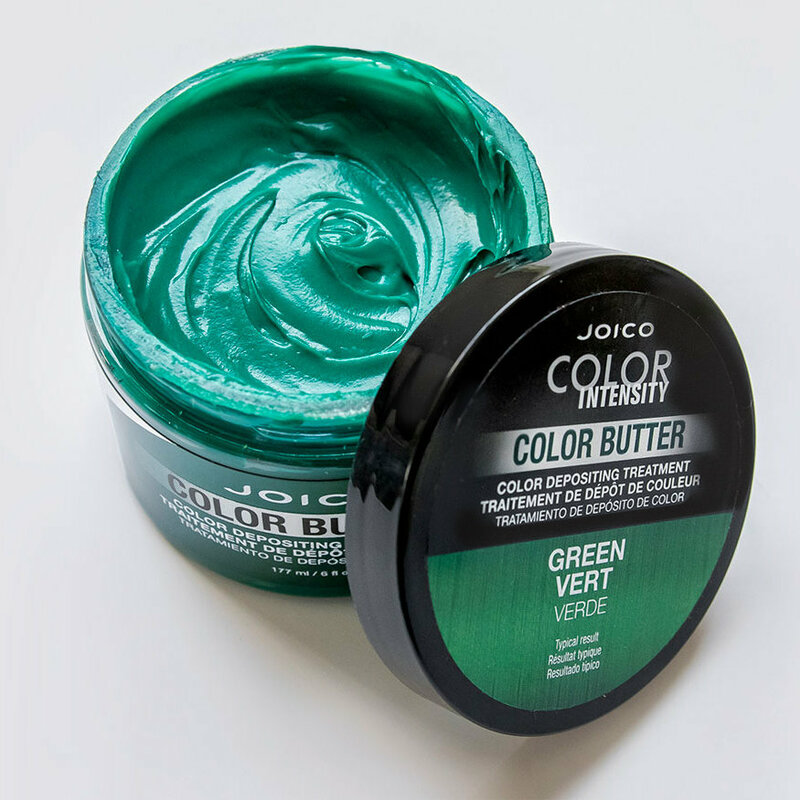 Feel free, however, to mix Color Butter with your favorite Joico conditioner to lighten up your results. We recommend K-PAK Color Therapy Conditioner. How do I make my Color Butter a shade deeper? Use a dry application instead of a damp application. If you’re looking for an even deeper color result, repeat the application 2 or 3 times. Be sure to rinse and dry the hair in between applications. Can I refresh or create a color melt, dipped tips, pinwheel, or multi-colored design using Color Butter? Absolutely! Apply the desired Color Butter shade to your design on dry hair using a color brush. Isolate the sections of your design any way you’d like (foil, clips, meche sheet); then leave on for 5 minutes and rinse. Do I need to guard against staining? Definitely. We suggest wearing gloves when applying and rinsing Color Butter. Be sure, also, to cover clothing during application. If product comes into contact with tile or porcelain, wipe up immediately to avoid staining.